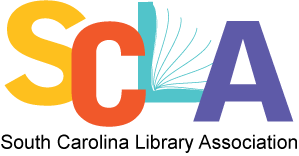 Conference proposal information for the 2019 SCLA Conference in Columbia, SC will be available soon. Poster sessions are an exciting, interactive way to highlight successful programs, communicate ideas, and identify new trends. Please review the guidelines before submitting your proposal. Every year, the call goes out soliciting proposals for SCLA Annual Conference sessions. Why should you take the time to present a session at this year’s SCLA conference? Here are good reasons to do so! An SCLA Conference session is a good way to share your work and successes with your colleagues. Why keep what you have discovered works (or doesn't) to yourself? Share with others because there are colleagues who will be interested in your topic. As a presenter, you become an advocate for your part of the profession. It is important that you share your ideas and work with people outside your specific area to increase its visibility and provide them with more information. Your work will inspire others to take what you have learned back to their own libraries and implement it. Your experience will directly impact others in positive ways you might never imagine! Presenting a session offers you the opportunity to engage with other conference attendees interested in the same subject, issue, application, or trend as yourself. Your presentation may spark a conversation with someone about your topic, in a way that networking alone will not, that may lead to future collaboration or open the door to future opportunities! One-on-one conversations that may result after your session will enable you to talk about very specific aspects of your topic that could not be covered in the presentation. Where else can you talk to a room full of people who really understand what you do every day? The SCLA Conference offers you the opportunity to hone your presentation skills. Sharpen your ability to communicate verbally and to present information visually with an audience of your peers. Presenting a session enables you to explain and expand on a concept, issue, idea, or activity in different ways and see which explanation is most well received. By presenting a conference session, you can expect to receive feedback from your audience that can help you in the future. Your colleagues can provide you with invaluable insights, discussion, and compliments on your work. An insightful, impartial discussion of your work with a peer can often provide ideas for improving your work in the future. Your institution may have professional development goals or requirements you must fulfill for certification and evaluation purposes. You can receive credit as allowed by your institution toward fulfilling those requirements for time spent preparing and delivering a session. Presenting a session at the SCLA Conference is a great achievement to add to your resume. Earn recognition from your peers as an expert and leader in libraries and information science. Demonstrate to your supervisors that you are serious about the profession by learning and sharing as much as you can. As a presenter, you can elevate your library’s reputation by showing what you and your library are doing to serve your community. You will feel proud and exhilarated once you've finished your session. You get a cool presenter ribbon to wear on your name badge at the conference. Your name and session will be printed in the conference program.